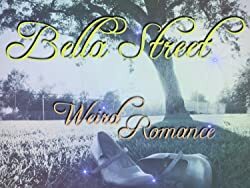 Enjoy Bella Street's Books? Tell us Why and Win a Free Book! Welcome to Bella Street's BookGorilla Author Page! We're working hard to bring you the best deals ever on Bella Street's Kindle books. If you’re a Bella Street fan, we'd love to have your help in making this author page special. Tell us, in no more than 150 words, why you think Bella Street is great. Use this webform to send us your submission, and if we select yours we'll offer you one of Bella Street's books or a Kindle Gift Card as a free gift! Thanks! Please enter your email address and click the Follow button to follow Bella Street! Book 3. Seffy makes it back to 2006 West Hollywood on a retrieval mission only to find herself in a tangent universe where Arnold is still governor. She goes on the run from robotic-like killers who want her dead, and realizes that if she dies, the chance of her and her friends getting back home will forever be terminated. Book 4. When a mysterious faction at the Fugere compound resorts to extreme measures for crowd control, problems intensify, threatening not only life and limb, but the already fragile estate between the Apocalypse Babes and the Others--especially as things heat up between Seffy and Trent. Book 5. Conspiracy plots thicken like tainted blood, taking a bite out of Trent and Seffy's fledgling relationship and casting a dark shadow over ones they thought they could trust.